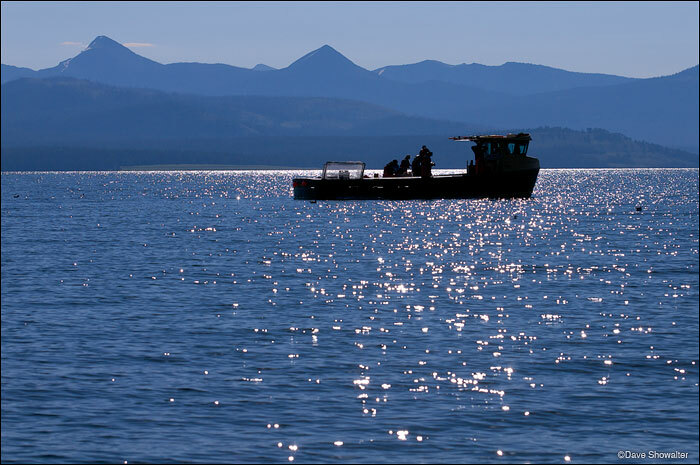 The Sheepshead fishing boat and crew on Yellowstone lake with a backdrop of the Absaroka Range. Yellowstone N.P. lake trout removal project. Photo © copyright by Dave Showalter.